This year there has been a deficit of mountains in my life. But my trip to explore Landour with Rokeby Manor was one beautiful trip. I had initially planned for three nights with my kind hosts. But due to date constraints, I had to cut it to two nights. I regretted every minute that I was not staying longer. 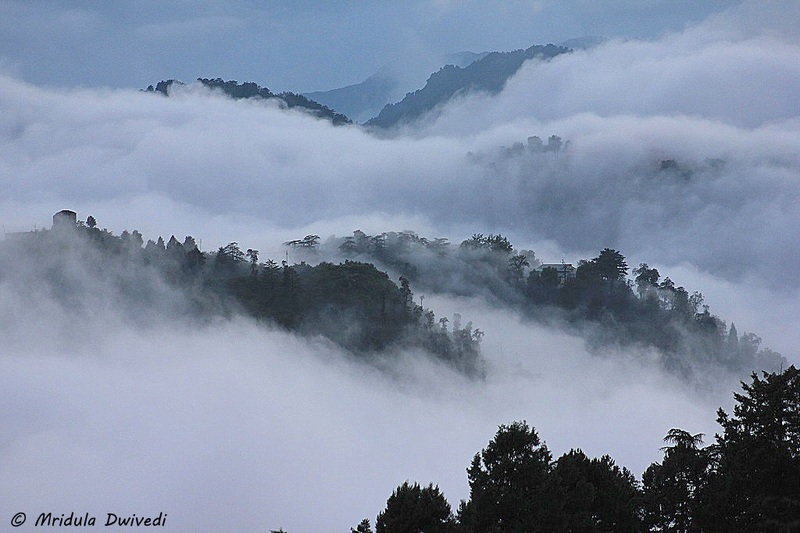 Landour- In the Kingdom of Clouds! 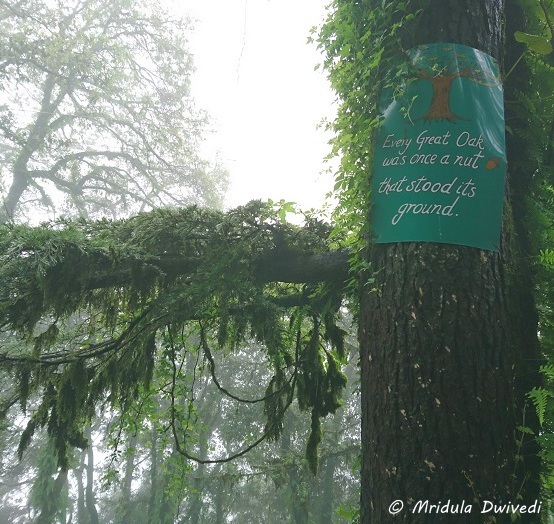 Landour is a dreamy place above Mussoorie. It has all the charms of the hills minus the crowds. Landour is a cantonment area so it has escaped indiscriminate construction. It is a pleasure to walk around the small town. As I am writing this, I am getting so nostalgic. Rokeby Manor is a charming old world mansion. Its construction started in 1840 by Captain G.N. Cauthy. It has changed many hands over the years. It is now a beautiful hotel managed by the Mars Group. Other than the main hotel, they have beautiful private cottages across the small town called ‘Rokeby Residences’. Bothwell Bank House is a three-bedroom mountain home provides a historical charm with original fireplaces and wooden beams, equipped with a kitchen, barbecue and an outdoor Jacuzzi. 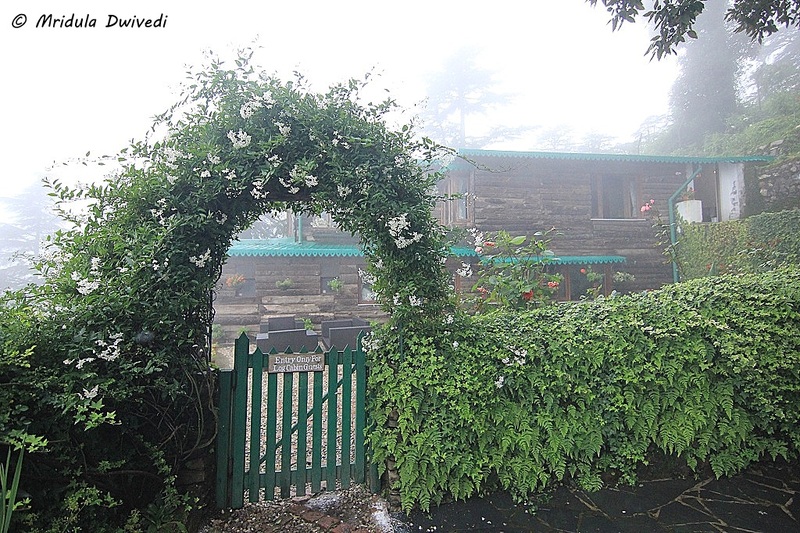 Set on a quiet sunny elevated slope overlooking the breathtaking views of the Himalayan range, is a charming small 2-bedroom apartment house called Bothwell Bank Cottage, an authentic stone clad mountain log cabin with a knotty pine wood decor which has all the comforts of a home. 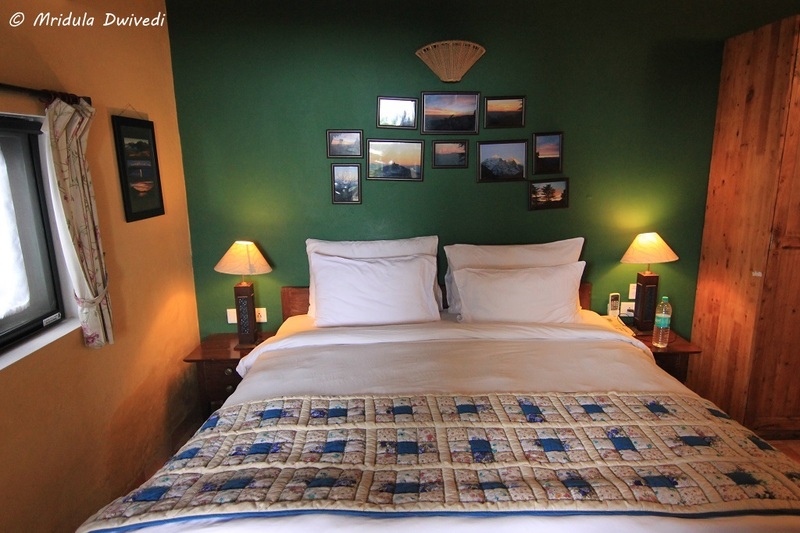 Another two storied bungalow Pine Tree Lodge is inspired by Scandinavian architecture, with colourful patchwork stools, vintage lamps and traditional Finnish artwork. Being cute and scattered around the town is their hallmark. For example the Landour Bakehouse in the Sister’s Bazaar belongs to Rokeby Manor, so does the Clock Tower Cafe in the Landour Town. The name of the spa is ‘The Little Salon & Spa Shed’. The name of the F&B outlet is ‘The StrayDog Cafe-Bar’ which comprises of ‘Stübli’, a Swiss styled restaurant serving Swiss & European cuisine and ‘Ale House’, an Olde English Pub. The spa as well as the cafe-bar is owned and managed by Rokeby. They had large umbrellas for the guests and I loved to walk around the small town in the light rain. 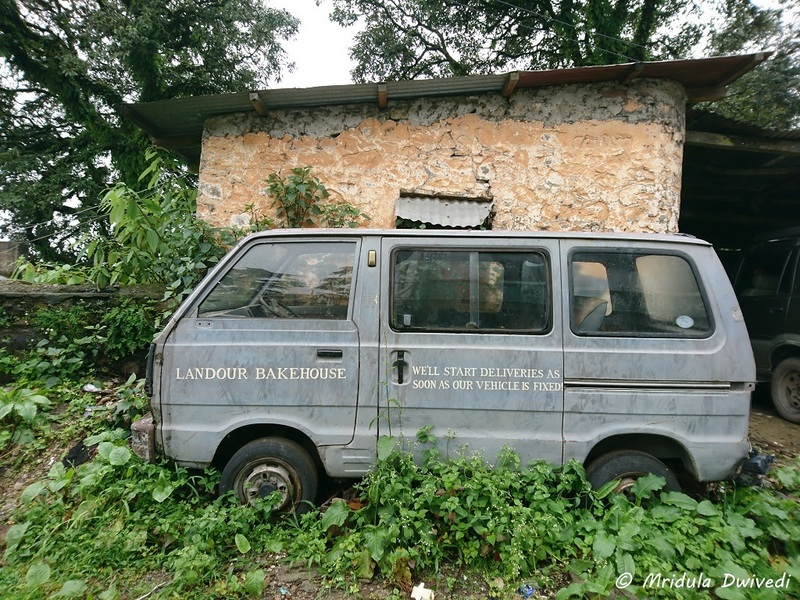 I tried out all the dining options available with Rokeby Manor but I am extra partial to the cakes and coffee of the Landour Bakehouse. I would love to go back, sit on a table by the window and get lost in the view and my thoughts. I may occasionally glace through a book but I would love to daydream more than anything else. 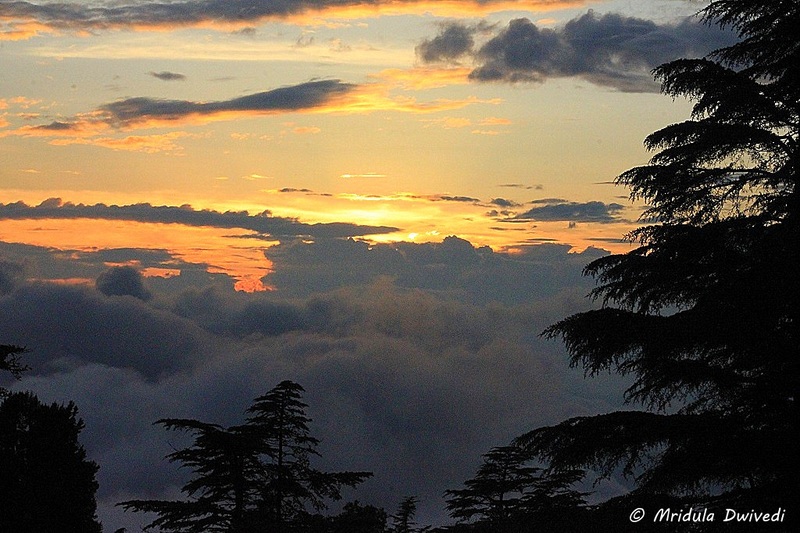 The Sunset at Landour from the Tea Garden! I had a cozy room at the Rokeby Manor that opened to the tea garden. However it was raining a lot to sit outside for tea. 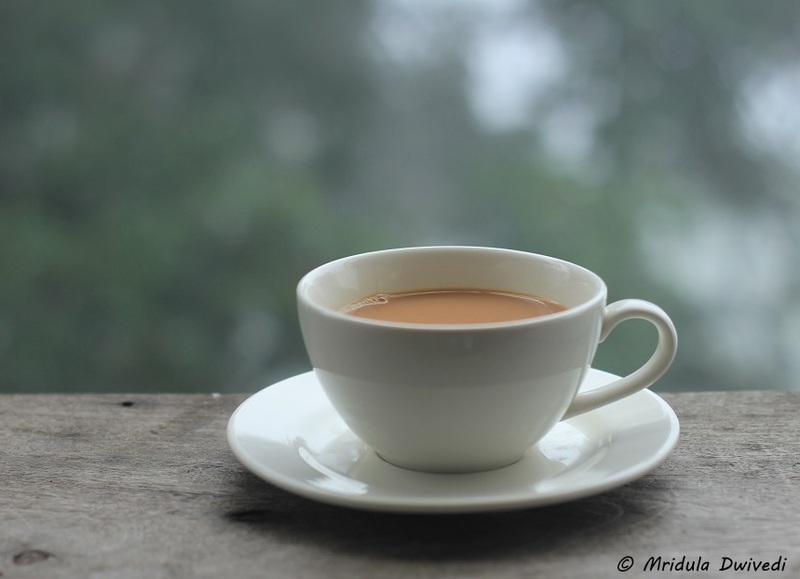 My adda was the balcony of the Emily’s Cafe where I would sit with a hot cup of tea and enjoy the rains. I loved sitting in the library too. The tea garden has beautiful views of the Valley. It is a great spot to catch the sunset too. On some of my hosted trips I miss out on sleep almost all the time because the itineraries are invariably packed. Not so with my trip with Rokeby Manor. I was treated like a guest, who had no itinerary to follow. A Great Oak who was Just a Nut that Stood Its Ground! I mean they made a plan for me but I was free to do whatever appealed to me and drop whatever I did not feel like doing. I need more hosts like them! I never woke up early and there were no late nights on my agenda. It was like a vacation for me, when most of my trips are not. 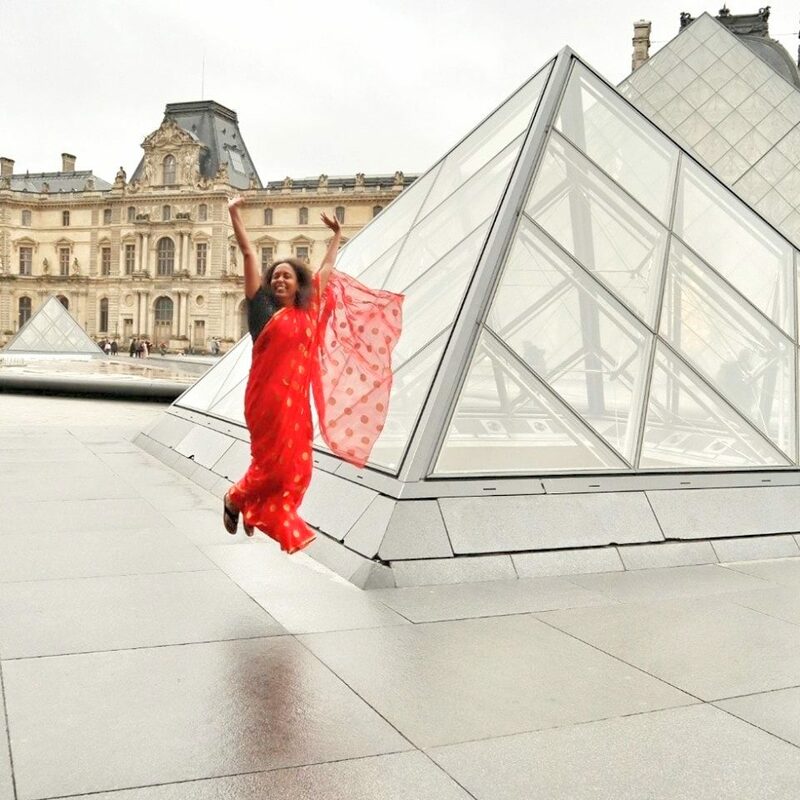 Don’t get me wrong, I am extremely thankful for all the travel opportunities I get but this trip was sheer luxury! 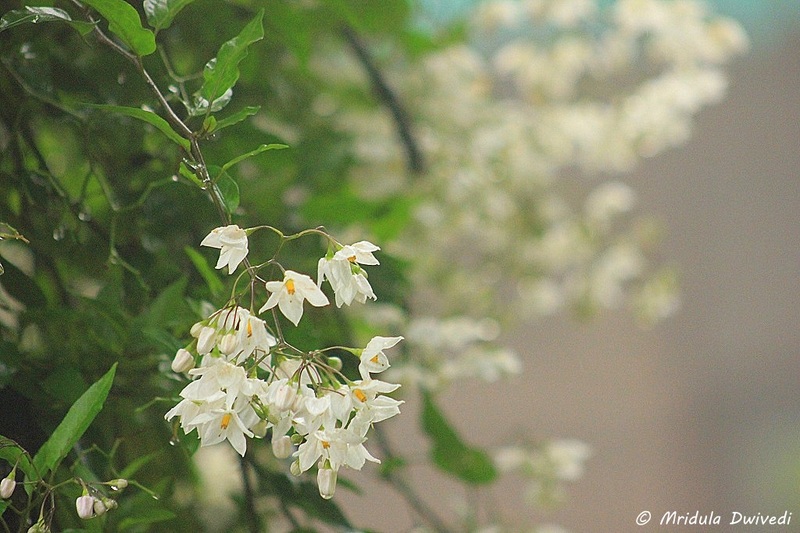 Rokeby Manor and Landour- A Trip to Remember! I established peace with the rainy weather at Rokeby Manor. All my working life rains were synonymous with traffic jams. In the mountains I do not like clouds because that means no views. But this time I loved the mist, the rains, the tea and the walks. I can be patient, I can go back again for the views! Rokeby Manor is special if you are looking for a peaceful vacation with family and friends. I would surely love to go back! PS. I was invited by Rokeby Manor on this trip. How many times have you come across a beautiful place and thought, “Oh! I could build a house nearby and retire here?” I must have done it every two kilometers in North Sikkim, it looks so bewitchingly beautiful and so utterly, truly and completely green. My husband, more often than not, nods his head in agreement. Till date, I have been scared of only one thing, the cold weather in the mountains. It is one thing to take it in small doses and it is quite another to think of living it day in and day out. The mere thought makes me shiver. Then, I came across this paragraph about a house in Kalimpong (quite close to Sikkim) in The Inheritance of Loss by Kiran Desai. 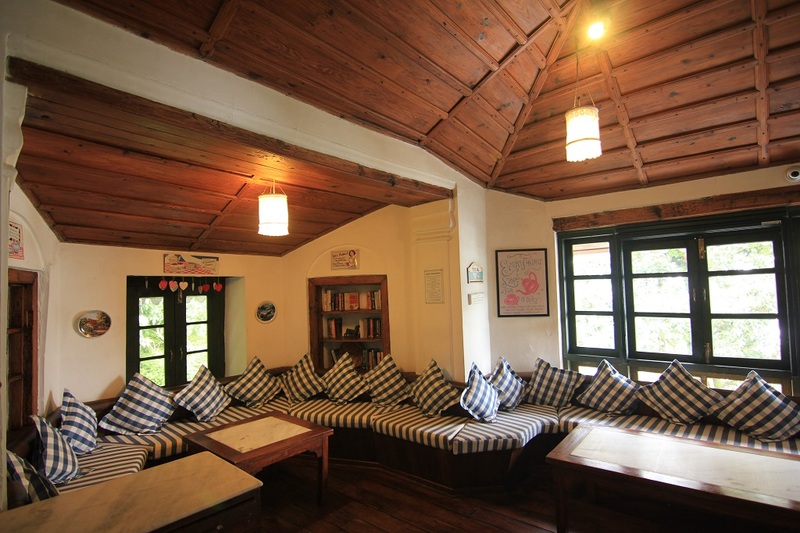 The house has been built long ago by a Scotsman, passionate reader of the accounts of that period: The Indian Alps and How We Crossed Them, by A Lady Pioneer. Land of the Lama. The Phantom Rickshaw. My Mercara Home. Black Panther of Singrauli. His true spirit has called to him, then, informed him that it, too, was wild and brave, and refused to be denied the right of adventure. As always, the price for such romance had been high and paid for by others. Porters had carried boulders from the riverbed-legs growing bandy, ribs curving into caves, backs into U’s, faces being bent slowly to look always at the ground-up to this site chosen for a view that could raise the human heart to spiritual heights. It gave me some food for thought about our retirement dreams. PS. My personal favorite still remains Ladakh. But I hear that Ladakh is getting too crowded now a days. PPS. I guess it is now Spiti but I know I will never be able to retire to Spiti!